Medical malpractice is the term for negligent behavior by a doctor, health facility, or hospital. Doctors and other professionals must exercise reasonable care. Even highly skilled medical professionals sometimes make mistakes. Birth injuries, surgical mistakes or failure to diagnose cancer can be devastating to patients and their families. It is important to consult an experienced attorney as soon as possible about suspected malpractice. Within the first week, evidence can be lost and witnesses may forget important details. Additionally, strict time limits apply to these claims. 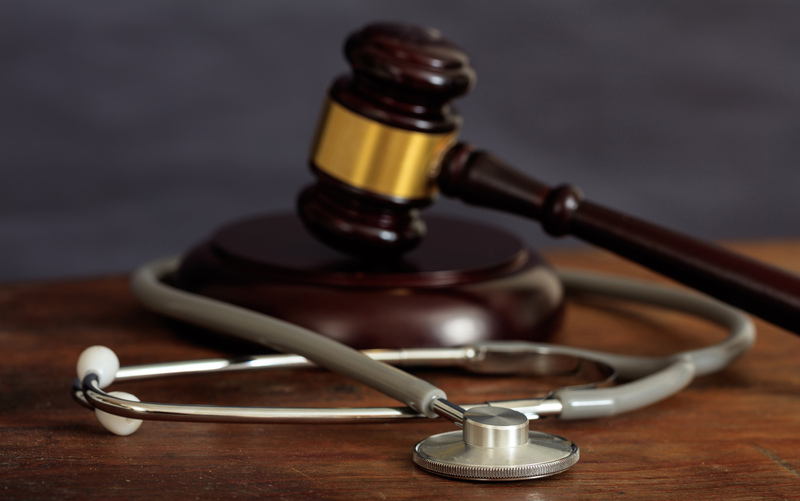 Medical malpractice cases in Ohio are complex and expensive. They require familiarity with medicine, hospital policies, procedures, and expert witnesses. Our attorneys have the skill and experience to prepare even the most complex malpractice case effectively. The question of whether a doctor’s treatment of the patient fell below the standard of care is the first question that must be answered in any medical malpractice case in Ohio. Answering that question requires consultation with qualified experts, and finding the right experts often requires a deep knowledge of the medicine and great experience in presenting the expert’s opinions to a judge or jury. resulted from a provider’s negligence often hinges on finding a qualified expert. In Ohio, you and your lawyer have to prove that the doctor’s breach of the standard of care is what directly caused your injury. There are many different types of malpractice and every case is different. also be one of the most preventable. Over a quarter-million babies are born every day. The vast majority of deliveries proceed without complication. When complications arise, however, we rely upon the intervention by competent medical professionals. When adequate care is not provided due to neglect, the consequences to mother and baby can be devastating. Birth injuries can occur before, during, or after birth. Prior to birth, the obstetrician may fail to diagnose a serious condition, such as preeclampsia, resulting in serious complications. During birth, failure to properly monitor oxygen levels may result in permanent brain damage to the child. These surgical or birth mistakes can result in a lifetime of medical treatment and disability. Elderly patients who require constant care are in a vulnerable position. They rely on nursing home staff to make sure their basic needs for care and safety are met. Nursing homes are subject to extensive regulations and recordkeeping requirements to assure that our elderly are not abused or neglected in a nursing home environment. Nevertheless, nursing home abuse and neglect occurs all too frequently, sometimes with tragic results. We assist nursing home patients and their families when nursing homes fail to provide adequate care as required by law. Misdiagnosis or delayed diagnosis can sometimes be difficult to prove and requires expert advice. Lack of due diligence and proper best-practice on the doctor’s part can result in devastating and traumatic consequences. There must be evidence that if proper testing took place, then the real diagnosis could have been addressed. No surgery is routine. Every surgery requires careful consideration and due diligence by all doctors and other staff involved. If it can be proven that a Doctor was negligent and made a mistake, you could be entitled to damages. Anesthesia always has associated risks. Doctors should always educate their patients about the risks involved with anesthesia and whether they may be of more risk due to pre-existing conditions or age. Some people are not physically fit to receive anesthesia and it is the doctor’s responsibility to determine this. If you or a loved one was not properly screened for underlying health conditions that may have prevented anesthesia death or injury, you could be entitled to compensation for damages. During busy hours, emergency rooms sometimes fail to recognize that a patient is suffering from an urgent malady and refer them to outside specialists. If delayed treatment, failure to treat, or misdiagnosis in an emergency room resulted in further injury for you or a loved one – you were likely the victim of medical malpractice. The responsibility of an emergency room is to identify emergencies and treat them accordingly. If they fail at this, or make a mistake, then they have violated the Ohio standard of care. Every medication must be labeled and measured properly to ensure safety and standard of care in Ohio. Occasionally, due to negligence, the wrong medication or dosage is distributed, resulting in illness, death, or injury. In addition to medication labeling, pharmacists must provide dosing directions and information about the risks involved with each medication. If a mislabeled prescription was the direct result of an injury, then you were the victim of pharmacy malpractice. often depends on the facts of a particular case. It is always best to consult with an Ohio attorney to determine your window of opportunity. In many cases, the time for bringing a medical negligence claim is only one year. The compensation a victim seeks is called “damages.” In Ohio, the amount of damages recoverable in a medical malpractice case is limited by statute. Economic damages: These damages cover your actual expenses, lost earnings, or other monetary losses. There is no cap in Ohio for economic damages. Non-economic damages: These damages cover pain, suffering, and loss of enjoyment of life. In Ohio, the non-economic cap is $250,000 or three times the economic damage (whichever is greater) up to a maximum of $350,000. Punitive damages: These damages do not apply to every case, but they are specifically designed to punish a medical professional. If it can be proven that doctor committed fraud or intentional malice, punitive damages may be rewarded. Punitive damages are limited by statute to twice the compensatory damages. If the defendant is an individual or small employer, punitive damages may be further limited based on the defendant’s net worth. 1 out of 20 American adults are misdiagnosed every year – 12 million people. Medical procedures have risks that cannot be eliminated even with the best care. A poor outcome does not necessarily mean that a professional committed malpractice. For that reason, we carefully review medical records and consult with top experts before accepting any malpractice case. Check out our medical malpractice frequently asked questions. Our Ohio attorneys have the experience needed to assemble evidence, engage expert witnesses, and prosecute cases to achieve the best possible outcome for our clients. If you believe that medical malpractice has resulted in serious injury to you or a loved one, we would be honored to determine the best course of action for your case. This article was authored by D. Andrew List, Esq. Since 1991, Mr. List has represented seriously injured clients in cases involving medical malpractice, dangerous pharmaceuticals, nursing home neglect, and products liability. For more information about protecting your legal rights, contact our law firm. If you are unable to travel to our Columbus, Ohio office, we will meet you where convenient. There is no charge for an initial consultation.